The newly formed International Center for Earth Data (ICED) – involving small satellite technology provider Orbital Micro Systems (OMS) and the University of Edinburgh – will gather, process and deliver weather information from public and commercial sources for researchers, governments and commercial enterprises around the world. Based at the University of Edinburgh, the programme will capture and analyse data from OMS' planned constellation of 40 satellites – each about the size of a large shoebox. These missions will include the first launch of the recently announced UK spaceflight programme, using the planned spaceport on Scotland's north coast. The technology will be equipped with sensors to gather quarter-hourly updates on global conditions such as temperature, humidity and atmospheric pressure. The resulting data stream will be interpreted and delivered to clients across the world to enable near real-time decision making and high-value forecasts. Following agreement of the deal, researchers from OMS will take up residence in the Bayes Centre – the University's soon-to-open hub for expertise in data science and technology. They will work with researchers in high performance computing, geosciences and informatics to design data and analytics technology for the sensors. The University of Colorado Boulder is also involved in the ICED. Professor Mark Parsons, Associate Dean for e-Research at the University of Edinburgh, said: "Our expertise in data science means we are perfectly placed to support the sophisticated production of regular and reliable weather information for recipients around the world." William Hosack, Chief Executive Officer of Orbital Micro Systems, said: "Output from the International Center for Earth Data will impact the lives of hundreds of millions of people around the world through applications relevant to everyday life – such as improved crop yields, safer route planning for flights and shipping, and better land management where forest fires, landslides, and other natural disasters are prevalent. 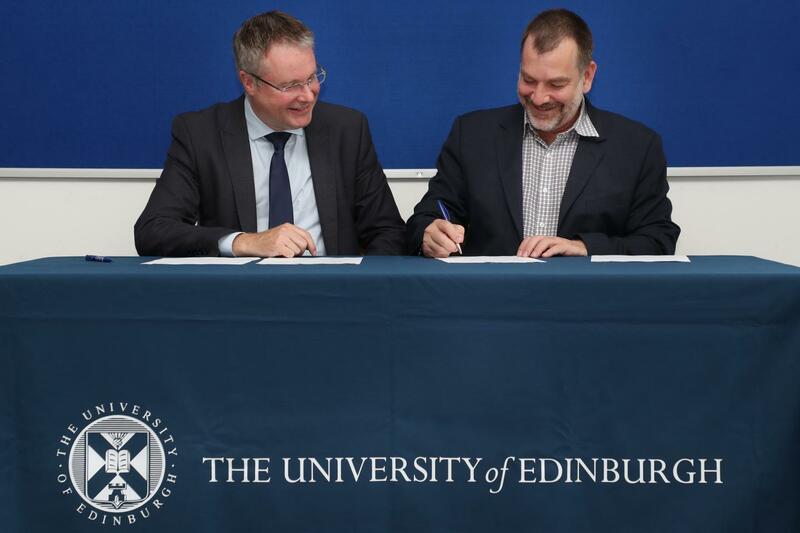 We're delighted to join forces with the University of Edinburgh and our partners at the University of Colorado to deliver solutions that will have a profound impact on all aspects of humanity."